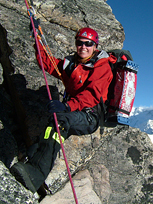 British Adventurer, Jo Gambi entered the Guinness World Records for the fastest female ascent of the Seven Summits. 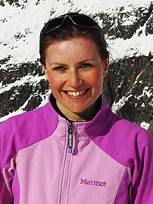 She is the second British woman to climb Everest’s North Ridge. In 2005 Jo Gambi and her husband Rob, became the first couple to climb the ‘Seven Summits’ in record time and ski to the North and South Poles. Remarkably they achieved these records not only while Rob was in remission from his second bout of cancer, but also in spite of facing death along the way, while stranded high in the Himalaya. Jo and her husband, Rob are currently working with Cambridge University on stem cell and other research programmes primarily in relation to Prader Wili Syndrome, as well as general fundraising initiatives and sporting events for charity. Jo spends a lot of her time helping to organise and attending conferences and seminars relating to education, healthcare and special needs. Rob and Jo are also Patrons and Ambassadors for Cancer Research UK, Rock UK and Adventure Plus Outdoor adventure and education for young/vulnerable people). Jo has always been passionate about access to outdoor activities for young people and holds a qualification in Forest Schooling. She currently helps out at Tree House Learning, Forest School. 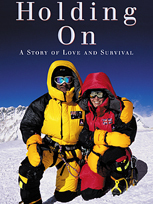 Jo’s book, ‘Holding On – a story of love and survival’ was successfully launched in the UK and as a talented photographer, Jo has captured images from some of the most remote and wild places around the globe and in addition to contributing to the prestigious Nikon Owner Magazine. 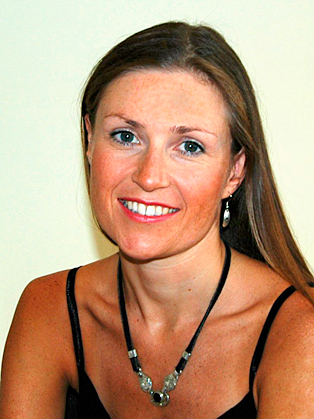 She has a first class honours degree in ‘Business Management and Clothing’, after this Jo was accepted on the acclaimed graduate management programme at Marks and Spencer which led to her career as a Product Technologist in the men’s and women’s wear buying teams. Later Jo decided to pursue a career in a more caring capacity and has a second degree in Physiotherapy she worked at University College London Hospitals (UCLH), one of the country’s leading NHS trusts as well as working privately for the London Welsh Rugby Club and teaching Clinical Pilates. When you come to launch an ambitious event such as the Endure 6 Challenge, you need an equally ambitious guest speaker to inspire the crowd. It was clear to see just how engaging and inspirational Jo’s story is. You could hear a pin drop, as Jo recounted her achievements. Grit, determination, humour and luck in the face of adversity means so much more when you are in the presence of someone who has achieved so much, to the point where attendees are still talking about how Jo has inspired them to take part in the Endure 6 Challenge. We are very much looking forward to working with Jo on future projects. Gareth Syms, Founder Endure World Events & The Endure Foundation. Jo came and gave a talk during our yearly activation week, when we encourage our associates to ‘get moving and be moved’. She held everyone spellbound with her extraordinary story – the highs and lows of their epic journeys in the Arctic and on the highest peaks in the world, and the personal challenges they faced and overcame. Her photos were spectacular and the content was both moving and at times very funny, including vivid descriptions of some of the basic practicalities of life at sub-zero temperatures! Jo was also delightful to deal with, and completely understood our objectives for the day. The whole session was engaging, inspiring and exactly what we were looking for. I have worked with Jo on several occasions and partnered with her to deliver inspirational presentations to audiences of business leaders. Jo clearly pays the same critical attention to detail that has no doubt saved her life many times up in the mountain ranges, to applying this same level of precise detail to researching an audience and tailoring her presentation. She takes time to ensure her message is consistent with the messages I want people to take away from an event and she ensures she co-ordinates with any other speakers too, taking time to get to know them and getting involved with an entire events team to ensure success. If you are looking for someone for an event who will inspire, energise and motivate an audience, then I would highly recommend booking Jo Gambi.